We have a purpose built pool 25' x 15' with a non-slip ramp access. 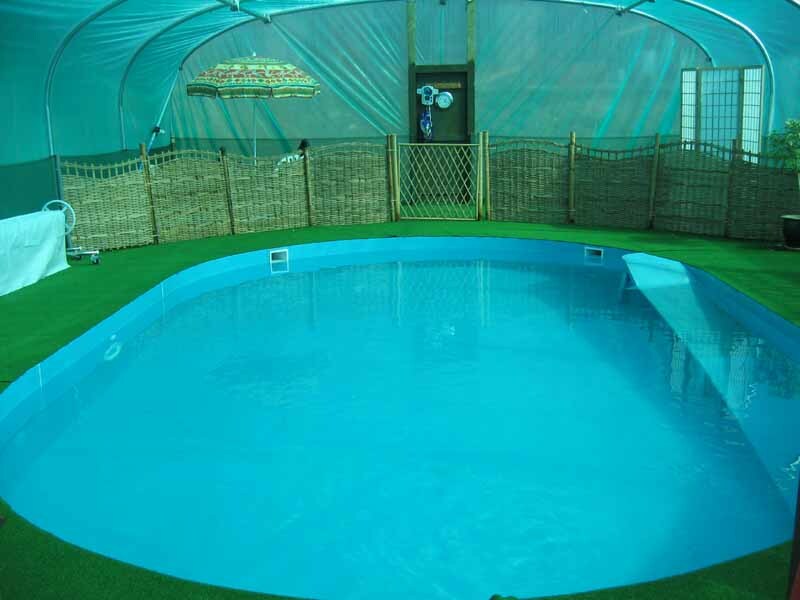 The pool is housed in a large polytunnel, the water is heated to around 92 °F and is fully sanitised. There are two twin speed hydrotherapy jets which help provide stimulation as well as to tone and strengthen muscles. 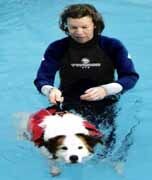 Flotation jackets are provided to give the old, infirm or inexperienced dogs to provide extra boyancy. Dogs are accompanied by Gail or a member of staff if required. We are available for both therapeutic and fun swims. 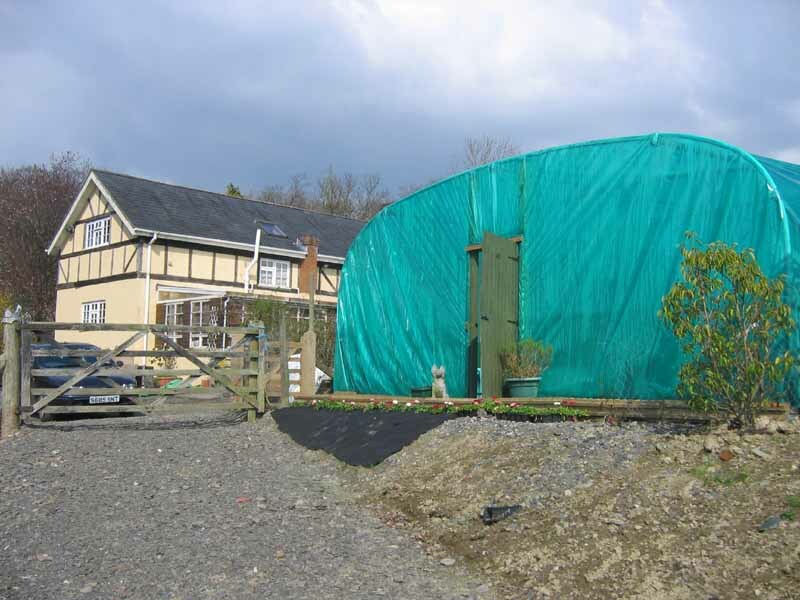 Each session lasts around 30 minutes, including drying time. Dogs have frequent rests and will not be swimming continually. Please supply your own towels. Through feedback from users of hydrotherapy pools, tanks and hoists are not favoured, both by owners and dogs. 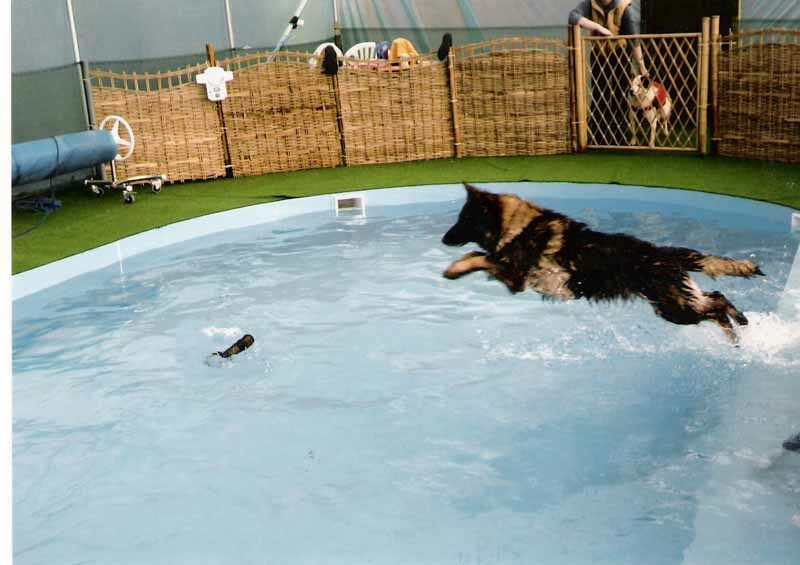 Our pool is designed so that access is as unstressful as possible and that the dogs are happy entering and leaving the pool and therefore enjoy the experience - a happy dog is a happy owner. Gail has a lifetimes experience in training and handling dogs and is fully insured for both third party and professional indemnity. It is important to seek the help of a veterinary surgeon in any event of injury or medical condition. Hydrotherapy is designed to aid recovery and not as a specific treatment. We would advise that all dogs should have a vet check prior to booking an appointment. Rehabilitation and therapy swimming is usually for a set period of time (typically 6-8 weeks). The referring veterinary service should provide the owner with details of the dog with written confirmation that this type of treatment is suitable for their dog and that the dogs health status permits this form of treatment. We will work in conjunction with your veterinary surgeon to create a programme for your dogs specific needs. A printable Splash Booking Form is available here.